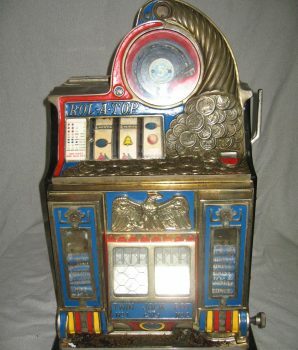 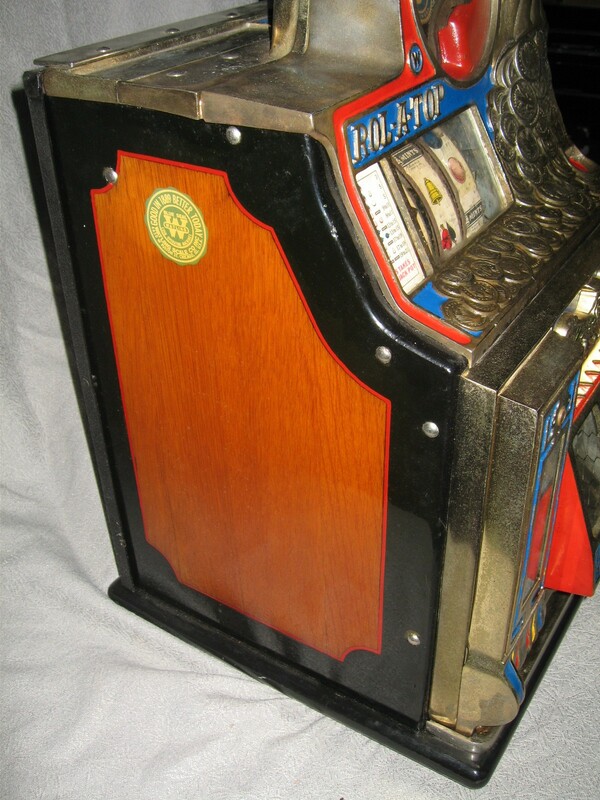 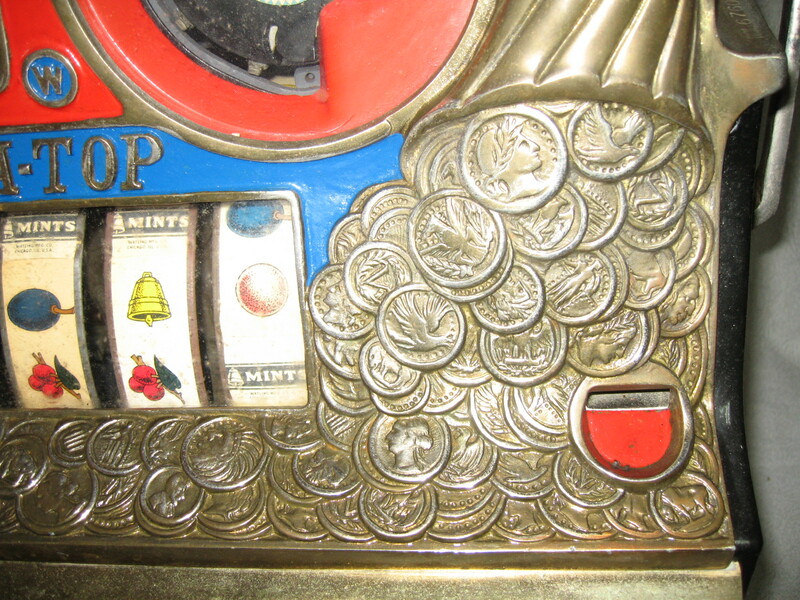 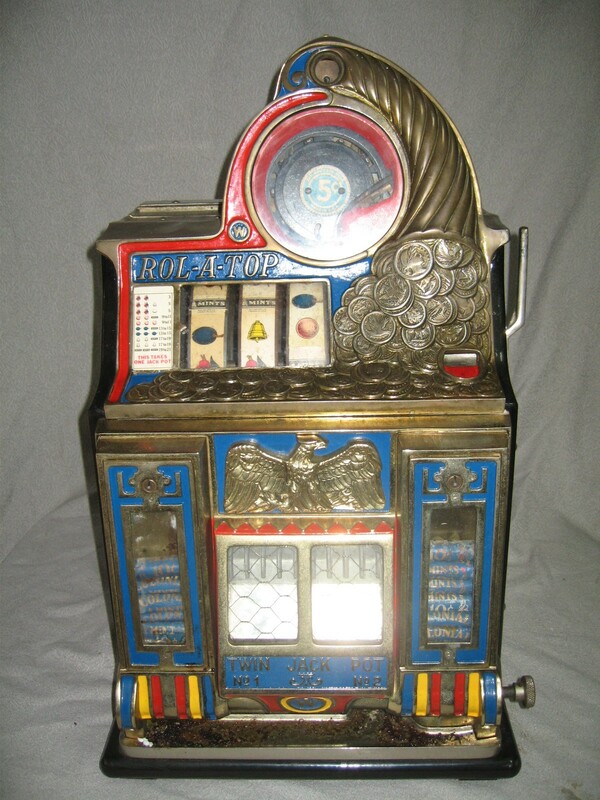 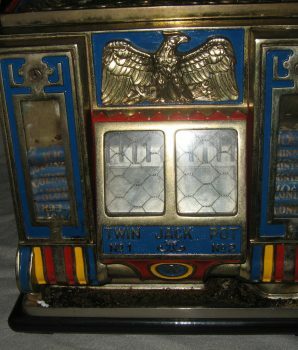 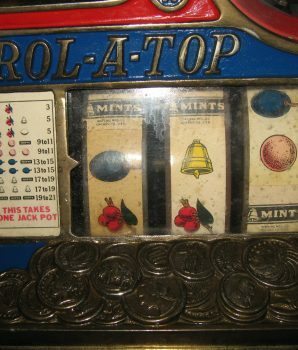 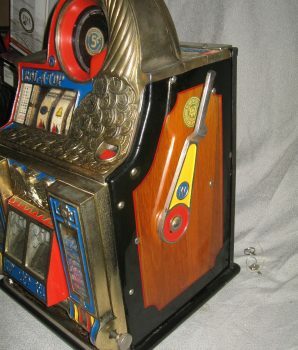 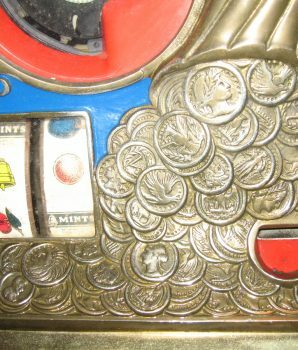 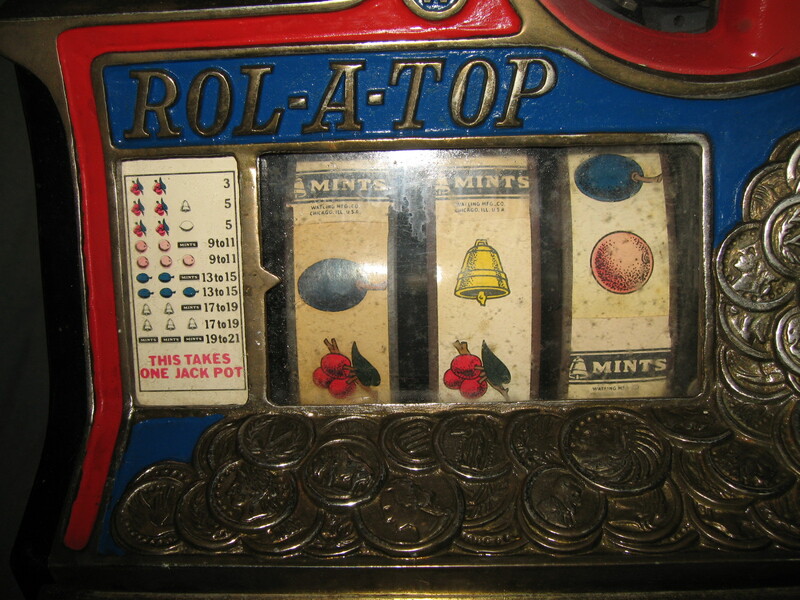 5 cent play, made by the Watling Manufacturing Company, restored slot machine. 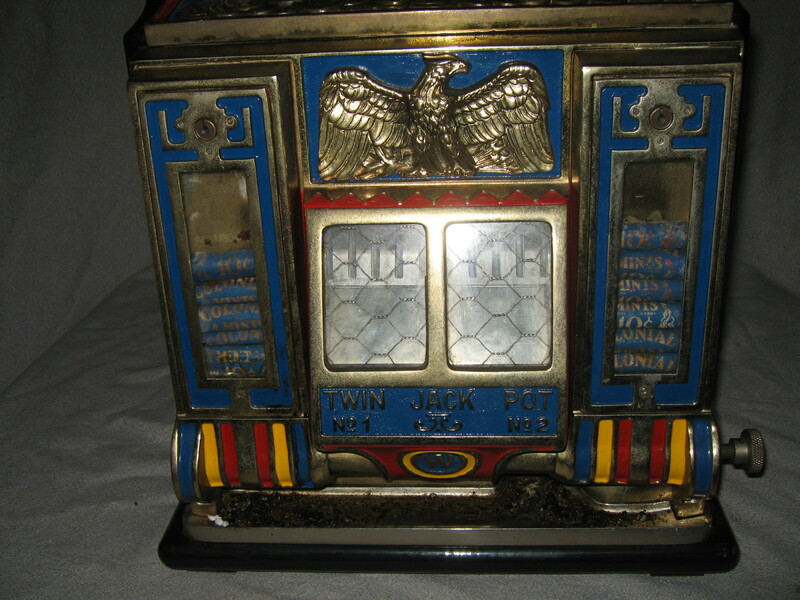 A highly popular machine with twin jackpot and front vendors. 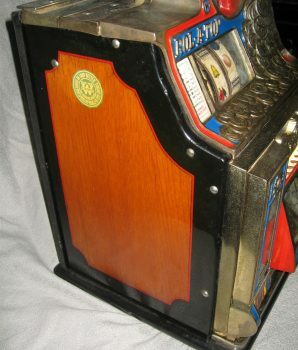 Slot machine Game Stands are available. 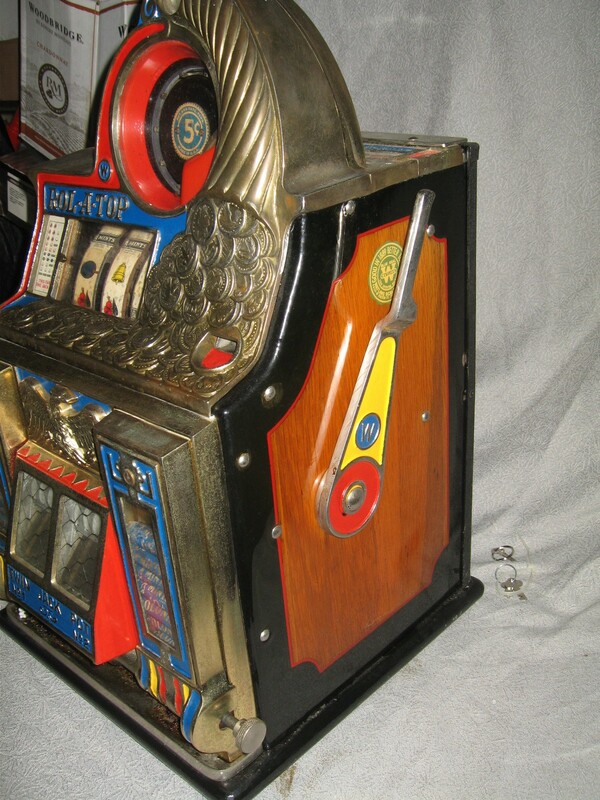 For additional information, call 904-712-9465 or send an e-mail.